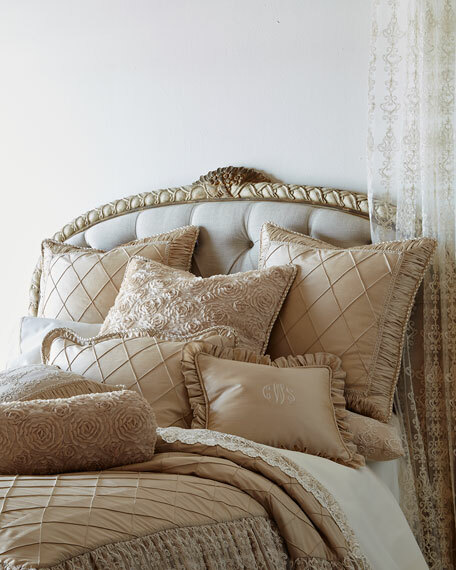 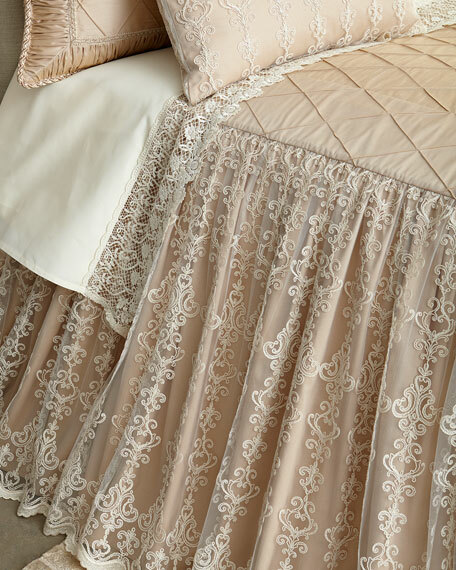 Diamond pintuck sham with ruched border reverses to dimensional roses. 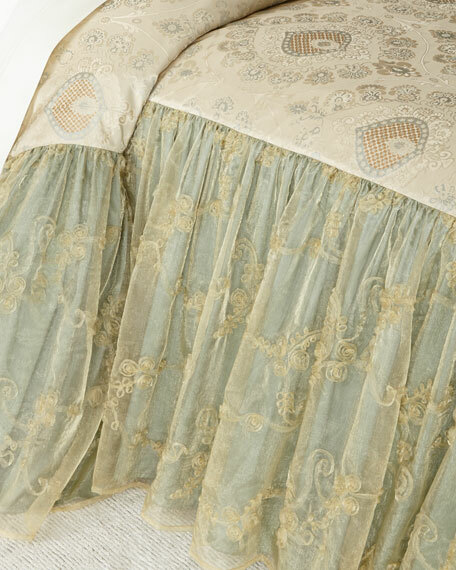 Finished with tri-color twisted cording. 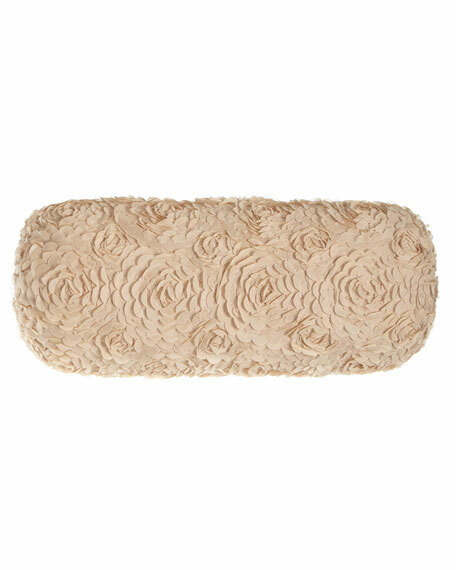 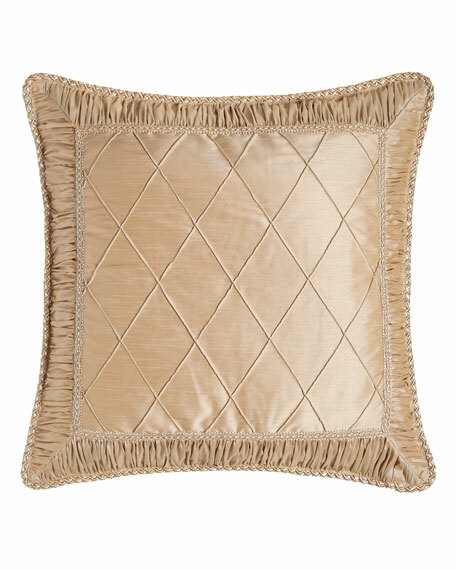 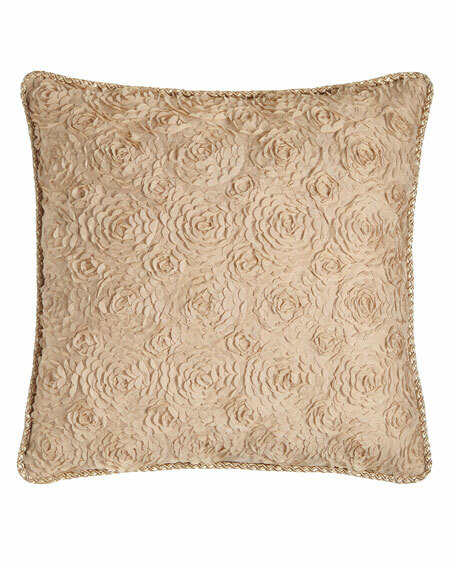 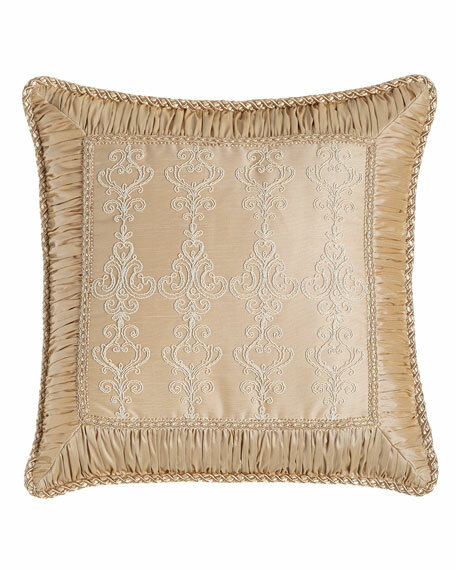 Sweet Dreams Elizabeth Ruffled Champagne Pillow, 16" x 18"
Hidden zip closure; polyester fill. 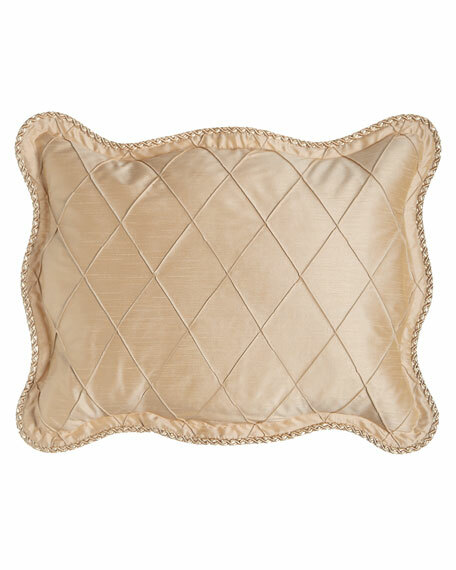 This item requires special assistance, to order call 1.877.944.9888 . 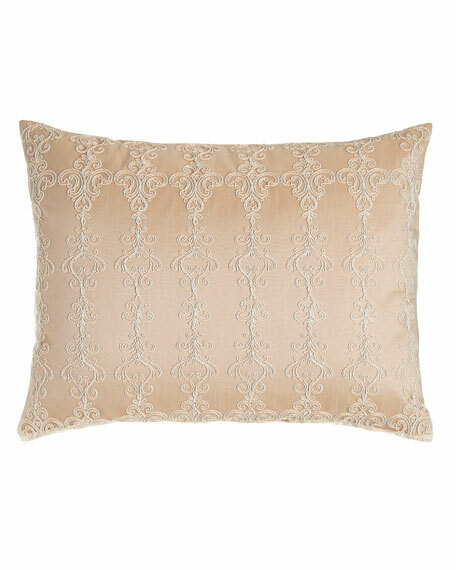 Sweet Dreams Elizabeth Lace Pillow with Ruched Border, 19"Sq. Sweet Dreams Elizabeth Neck Roll Pillow, 8" x 19"
European-woven lace center; ruched border.Has tri-color cording and polyester fill.Dry clean.Made in the USA of imported polyester. 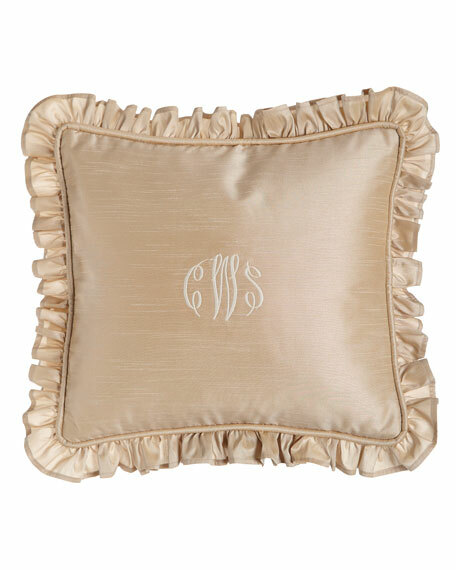 Ruffled champagne polyester.Hidden zip closure; polyester fill.Dry clean.Made in the USA of imported materials. 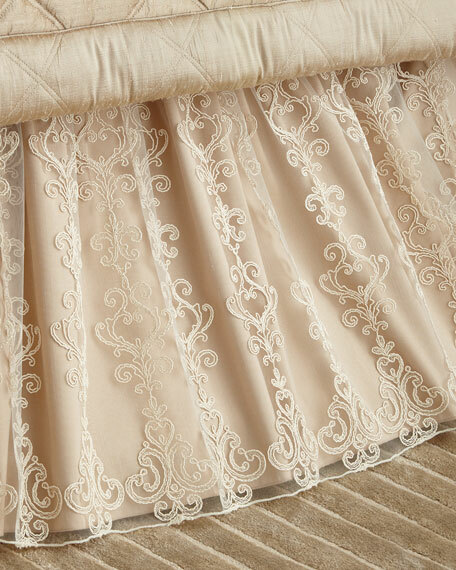 Diamond pintuck sham with ruched border reverses to dimensional roses.Finished with tri-color twisted cording.Dry clean.Made in the USA of imported polyester.